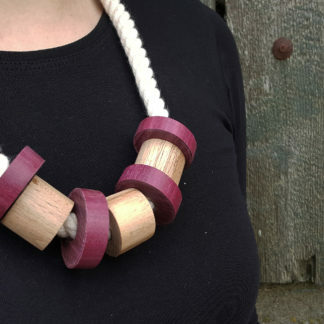 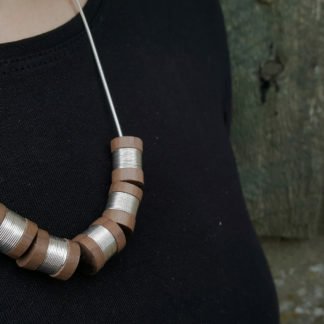 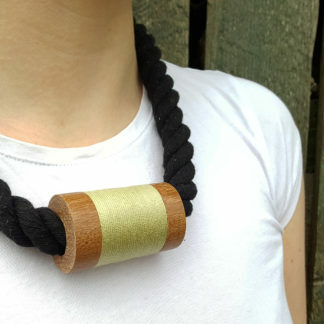 Hand made wood turned necklaces made from cotton rope and silver wire. 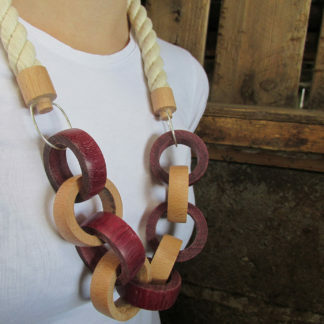 Wood links vary. 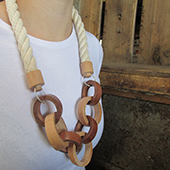 These necklaces have been inspired by old and rusted chains found on the farm and bale rope. 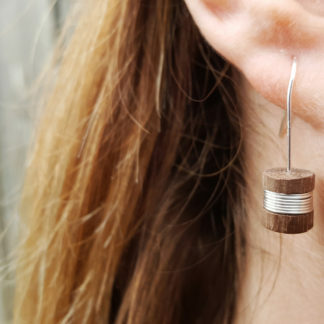 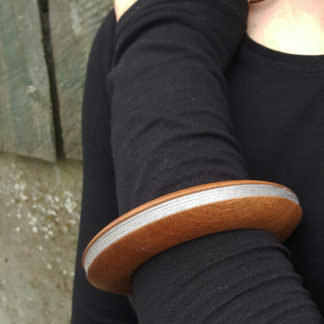 The wood is created from turned ends that were wasted from other projects, which had lathe marks and were all irregular sizes. I have drilled and sanded them all to form chains. 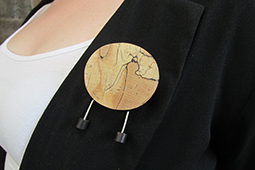 The chains are made from Purple Heart wood, Beech or Sapele and cotton rope with sterling silver fastenings.